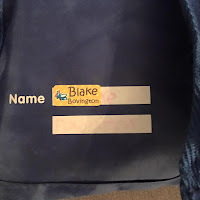 Mum of Five Staying Sane: Review of My Name Tags personalised sticker labels/name tags, ideal for school to name children's school equipment and clothing. 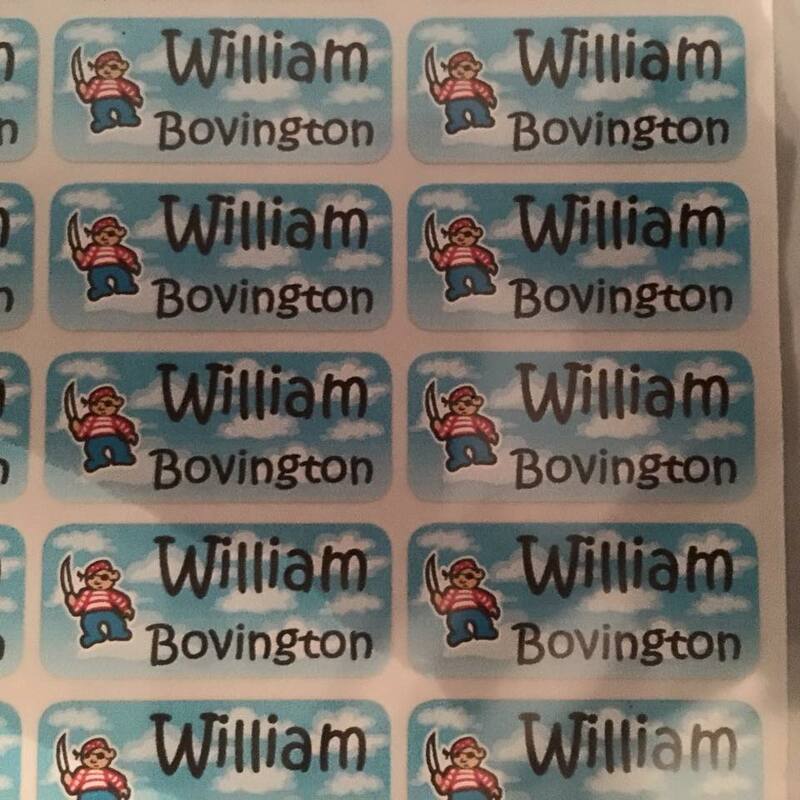 Review of My Name Tags personalised sticker labels/name tags, ideal for school to name children's school equipment and clothing. We were recently sent some personalised name stickers from My Name Tags. With so many colours and pictures to choose from they really have a fab choice for everyone. 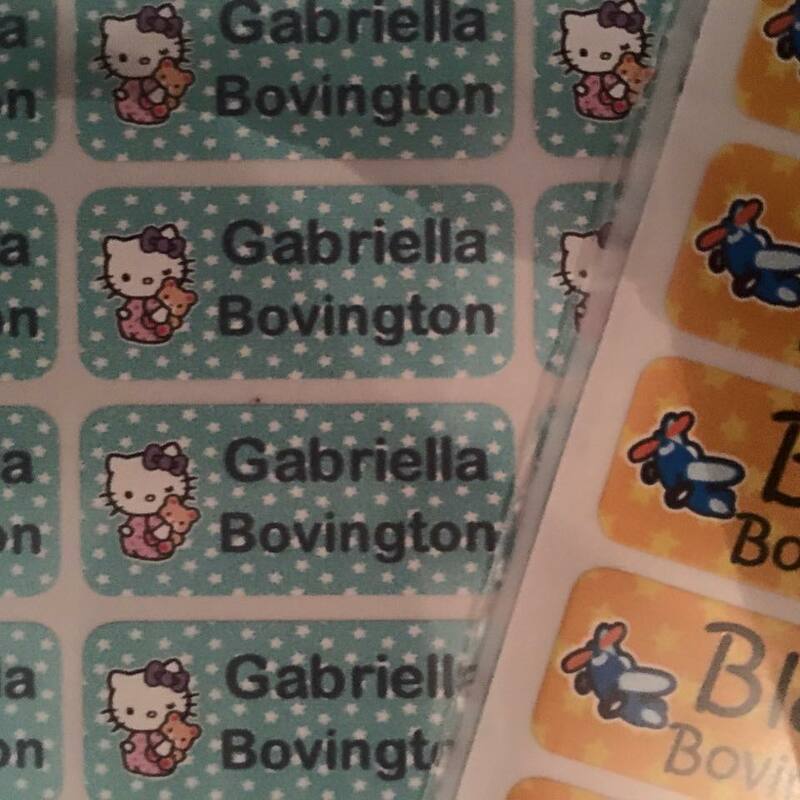 From Hello Kitty stickers to create your own stickers plus the choice of stickers or iron on labels too. We chose three different sets of stickers for Thing 3, 4 and 5. They currently attend Junior school, Infant school and Preschool. 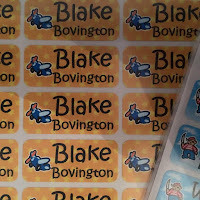 With an abundance of school equipment to label plus clothing too the stickers from My Name Tag are fabulous. We chose yellow stars background with an aeroplane, clouds background with a pirate and the Hello Kitty design with teal stars. 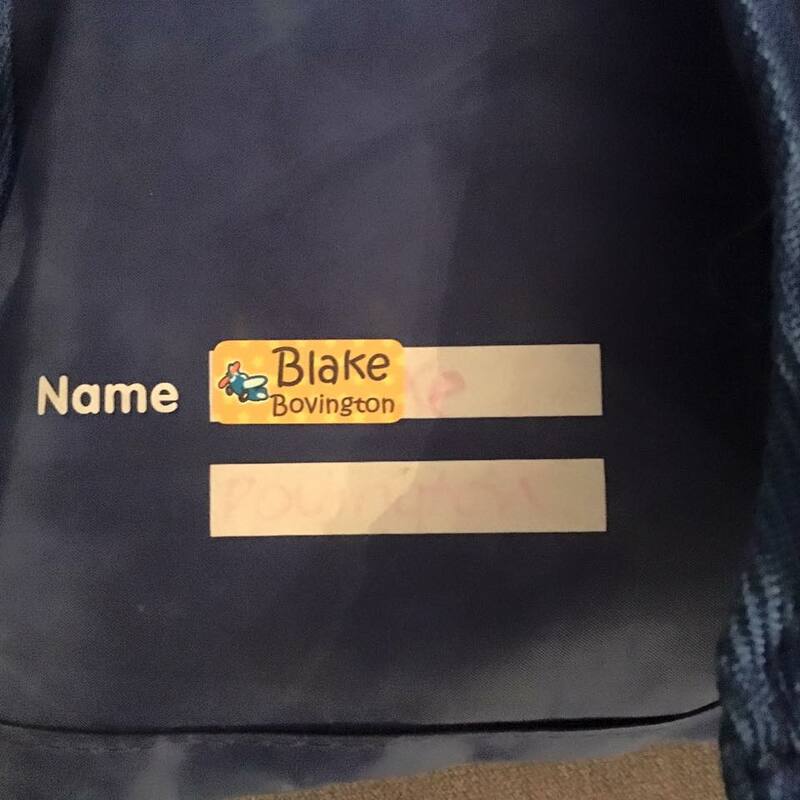 Ideal for book bags, lunch boxes, pencil cases and stationery, clothing labels, shoes and much, much more, we were able to label everything needed for school so if it does get lost or misplaced it will be named and won't end up in the lost property pile or going home with someone else. 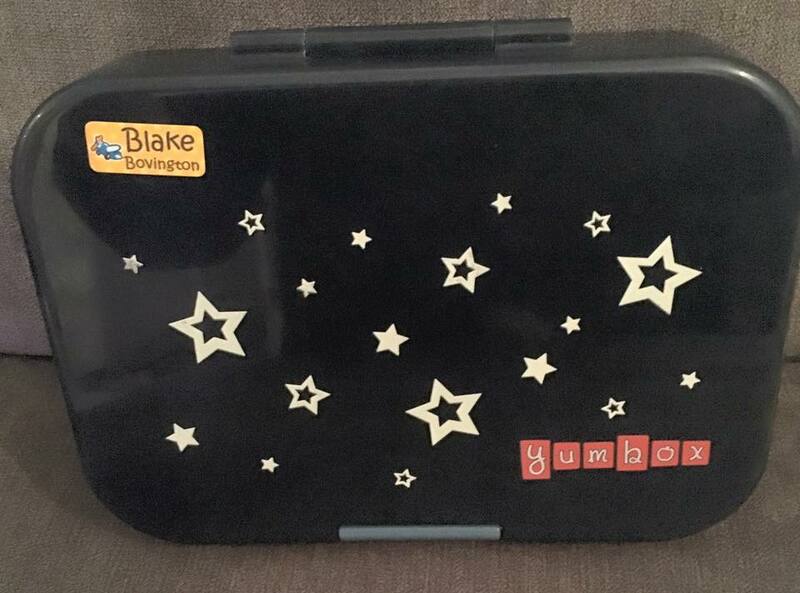 Thing 5's Yumbox lunchbox labelled and ready for school. We recently had a problem at preschool where Thing 5 had worn his wellington boots into school and then changed into his trainers. At the end of the day another child insisted that the boots were hers. We hadn't named them and with each child claiming them as there own the school had to ask the parents whose boots they were! Poor Thing 5 was devastated as he thought the other child was going to take his boots home. 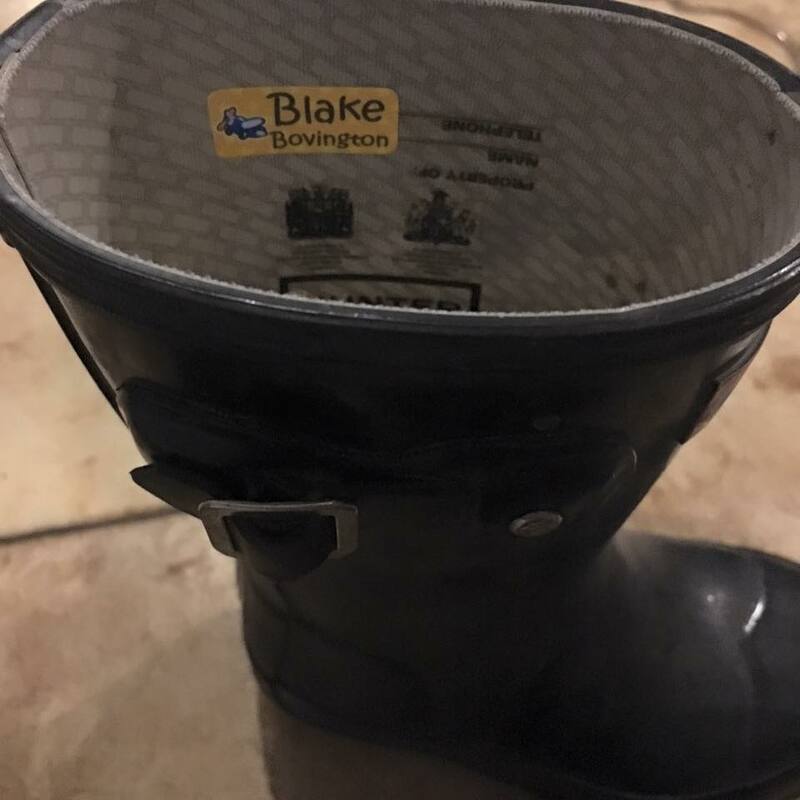 we have now added a My Name Tag label into each boot so there are no more arguments or issues! Wellies finally labelled so no more arguments or mix ups! The website and ordering process was so easy. We chose a Hello Kitty design for Thing 3. With 12 Hello Kitty designs to choose from you can have up to 2 lines (max. 15 characters) on each line. 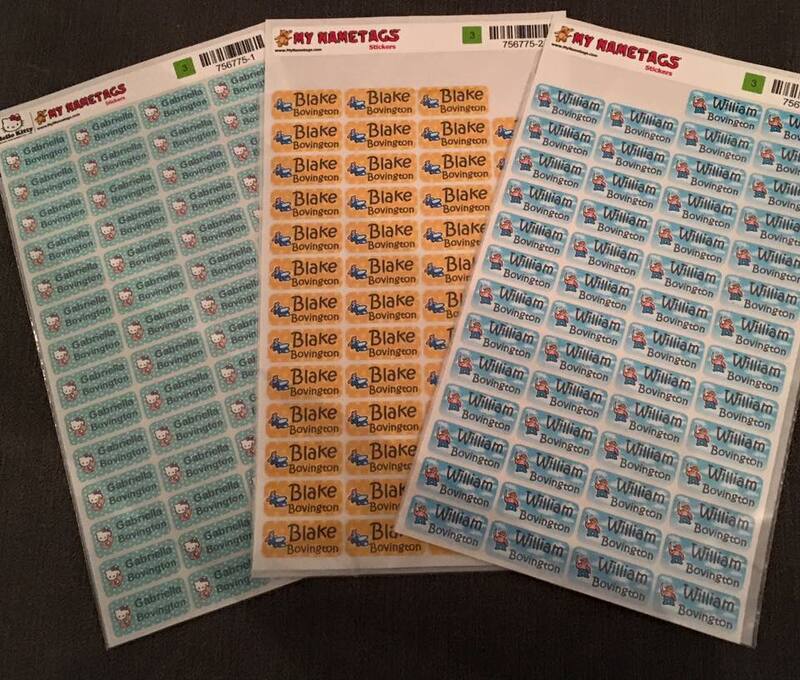 You can then choose if you want stickers or iron on labels for clothes and add to your basket. For Thing 4 and 5 we chose the design your own option. First you choose what kind of labels you would like. Then you move on to choose your text, design and background for your stickers. You can choose a font style and font colour on these stickers with a huge range of different backgrounds and designs too. You can also have 3 rows of text on each label if required. It is so easy to use the create your own process and once you have chosen everything you just click the add to basket option. Book bag labelled on the back and one on the front too. All of the children have had their school items labelled. The sticker sets work on clothing as well as all equipment too. They are durable and waterproof and stay on equipment even going through the dishwasher etc... Thing 3 also has all of her clothing and items needed for Brownies and dance classes labelled too, with so many children wearing the same uniforms etc... it's easy to get everything mixed up. 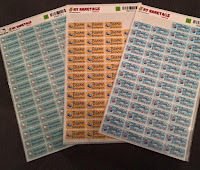 Each pack of coloured stickers comes as a set of 56 and you can also choose iron on labels for clothes. 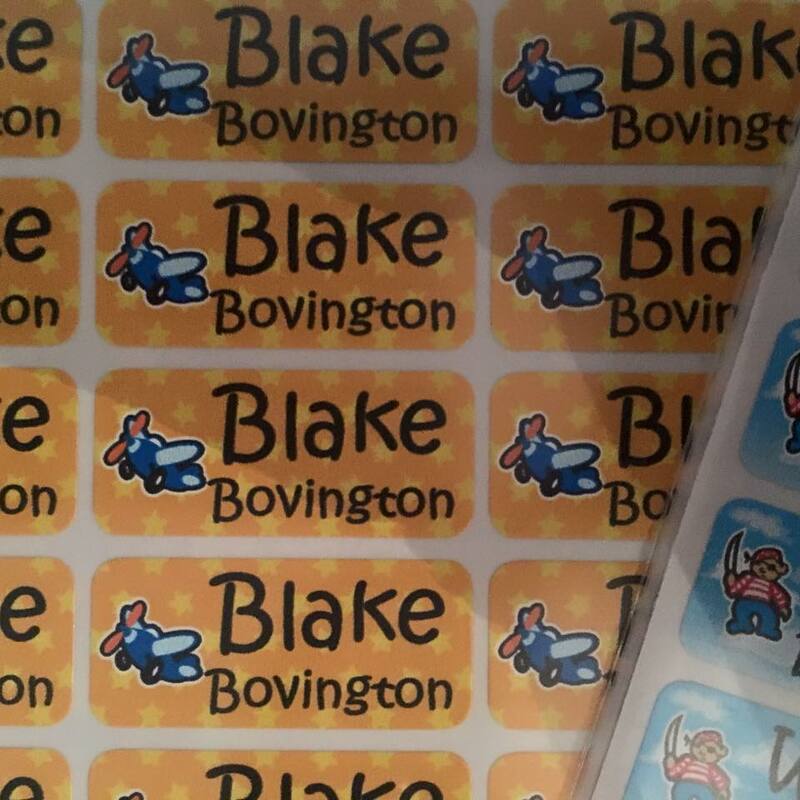 You can also choose a set of black and white stickers ideal for lunch boxes only and also a mixed set of black and white stickers and iron on labels. 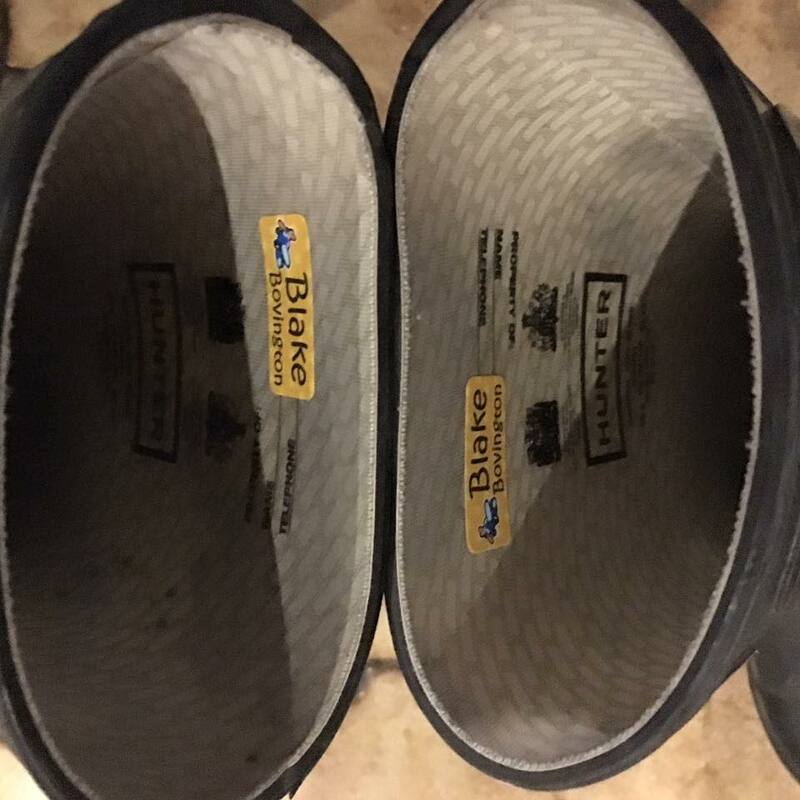 I would highly recommend these to friends and family for all the school equipment and much more. There is so much choice in the create your own section so the children can all have something different. 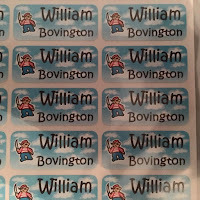 I find that everything needs to be labelled for school and these stickers are easy to use and apply. The price for 56 colour stickers is £11.95 for the coloured stickers (£13.95 for the Hello Kitty sets) plus £1 p+p. Disclaimer; We were sent these stickers for the purposes of this review. All thoughts and comments expressed are our own.